Go Big Read: La Loïe Fuller: Danse Radioactive? When the Curies announced their discovery of radium in 1898, the world took note--and not just the scientific community. Many uses were proposed for the gently glowing substance, from toothpaste to house paint. The Curies themselves began investigating radium's possible medical uses, while the less scrupulous rushed the product immediately to market as a cure for anything that ailed consumers, whether the complaint was acne or heart disease or anything in between. 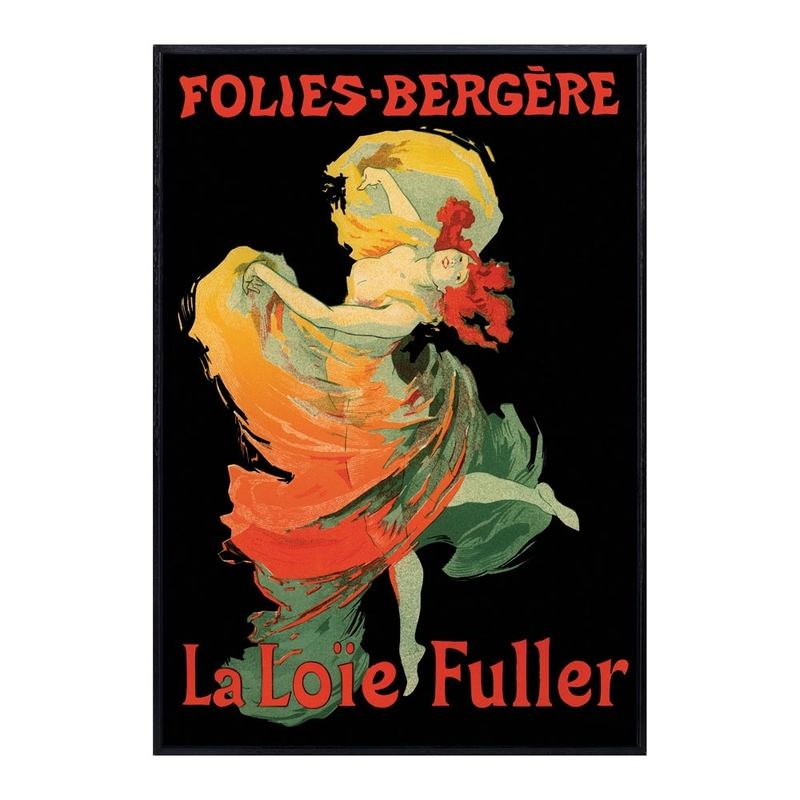 One figure who was particularly fascinated by radium's potential was Loïe Fuller, a famous dancer at the Folies-Bergère. Born and raised just outside Chicago, Mary Louise Fuller had made a name for herself as an actress on the vaudeville circuit. By the time she arrived in Europe, however, her focus had shifted from acting to dance, and she was already well known for her Serpentine Dance, which she had begun performing in 1891. While touring in France, Fuller found the audiences particularly receptive to her work, and she chose to remain in Paris, changing her stage name from Louie to Loïe Fuller. She became a star attraction at the Folies, where her innovative technique and colorful performances won her the devotion of the crowd. Fuller's image, as depicted by Henri Toulouse-Lautrec and other notable artists of the time, adorned the famous posters of Paris. Loïe Fuller saw radium as an artistic medium. The style of dance for which she was famous involved wildly swinging and shaking her billowing gown under colored lights, to give the illusion that her gown changed color as she danced. She had already conducted experiments with Thomas Edison using phosphorescent salts on a black dress, and had relished the effect: her veil, when thrown into the air, "disappeared in the darkness and only the falling luminous drops were seen elongated in their descent taking on the form of great violet blue tears...these things looked ethereal, spiritual, and made me feel in touch with the supernatural." Now Loïe realized that radium, with its gentle glow, could produce an even more enchanting effect. Loïe Fuller's famous Danse Serpentine. But the Curies turned her down. Radium was too rare, they felt--after all, it had taken them months of work to produce even a small amount of the substance. There were other things that could be done with it, better uses that could be made. Another reason for the Curies not agreeing to have Loie use radium in her performances was that they felt that radium, for the sake of safety, had to be rigidly controlled at all times and by scientists who understood its dangerous properties. There are signifcant indicators that a year before she died when Loie was diagnosed with what was probably breast cancer, she was treated with radium which was closely controlled ss an experimental drug could be. Wow, I didn't know Radium was promoted by some as a cure for acne or heart disease. It's crazy to think of some of the things that were used in medicine over 100 years ago. It makes me wonder what things we use now that will be considered crazy in 100 years. Lauren Redniss takes the stage on Monday!